Elizabeth Tettey is an insect scientist and alternative / diversify livelihood specialist. She worked with IITA Nigeria, under PROSAB programme where she trained farmers to adopt new varieties of crops and also evaluate farmers response to the new varieties. She also worked with Abt Associate under the PMI/IRS project where she carries out insect identification, susceptibility test for different insecticides and parity test. She is a resourceful and enthusiastic lady; she train farmers and organization on diversified / alternative livelihood. 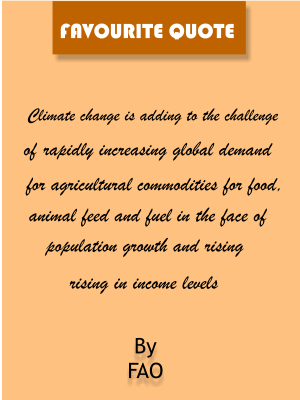 She spearheaded the project to determine the effect of insect infestation on under-fermented cocoa beans and published an article “The Impact of Insect Infestation on Stored Purple Cocoa Beans” Journal of Energy and Natural Resource Management. She is responsible for coordinating an Australian High Commission Direct Aid Project at TRACTOR dubbed “Youth School Garden and Sustainable Agriculture” project with contribution from B-BOVID (Building Business On Values Integrity and Dignity). Elizabeth holds M.phil in Entomology from the University of Ghana, B. Agricultural science from University of Maiduguri, Nigeria and NGO Projects and Operations Management from Cambridge Center of Excellence. She is a Project Management Practitioner. 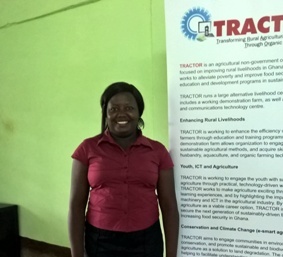 Elizabeth is currently the deputy Director and Programmes Coordinator for TRACTOR.